QCE Aluminum Fence has put together this list of Installation Best Practices to help you properly install your aluminum fence the first time and avoid the headaches and mistakes that can trip you up along the way. We highly recommend having your property stake surveyed prior to the installation, especially when installing fence along property lines. Once your yard is stake surveyed, you will have “markers” in the front and markers in the back which represent the corners of your yard. You will want to take a long tape measure or string and pull it between two of the markers. Once the line is tight, move it on to your property approx. 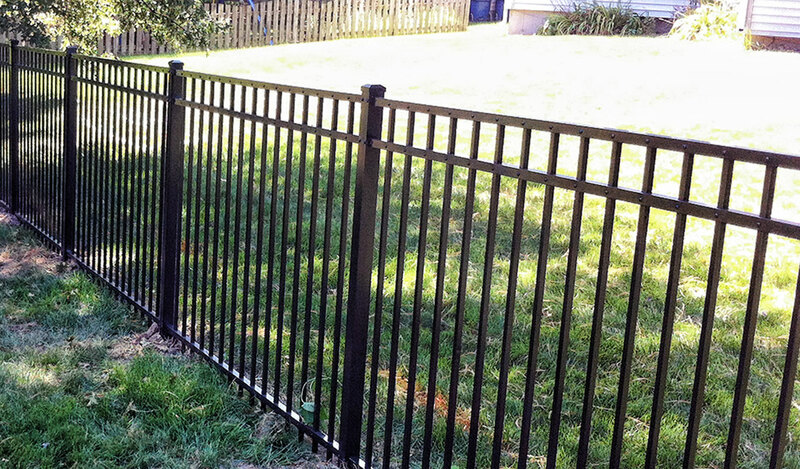 2″ to guarantee the fence will be installed on your property. Keep in mind some subdivisions or developers may have multiple markers in the same location, so make sure the markers you measure between are yours. Measure from your house, usually the back corner, to the property line and continue measuring around the yard until your destination. Be aware of any differences in the grade of your yard. There are rackable sections or “double-punched” sections which allow the fence section to flow with the ground and still remain vertically level. The posts will be the standard posts, however if “stair-stepping” is your preference, you will need “ending posts” which will be pre-punched on one side of the post to accept the rails from the high side of the hill. On the low side of the hill, you would use railends at a lower height on the post and this will cause the “stair-step” at the top and bottom of where both sections are attached to a single post. Keep in mind that stair-stepping is not recommended for pool codes, small animals or children because it will cause a gap in between the bottom of the fence and ground level on the low side of the hill. In our opinion, rackable sections are much easier and esthetically more appealing to the eye. Residential fence sections will rack or slope to approx. 12″ within a 6′ section. When installing residential or commercial fences, your post holes should be 72-1/2″ on center. There are certain posts and sections to use in certain areas. End posts will have “punched” holes on only one side of the post and will only be used when the fence line terminates (most commonly against the home or on each side of the gate opening). Line posts will have “punched” holes on opposite sides of the post and will be used when the fence continues on at a 45 degree angle or less. Corner posts will have “punched” holes on 2-sides (next to each other) and will be used when the fence continues on, at a 46 degree angle or greater. To begin, set your string line approximately 2″ inside your property line, as stated above. This material should be installed as you go (post/section, post/section etc.). The string line will be used as your straight edge. Mark out the location of the post holes (centers on residential are 72 ½”) along the string. Dig the holes 36″ to 42″ (depending on the frost line in your area) approx. 6″ in diameter. The holes should overlap the string line by approx. 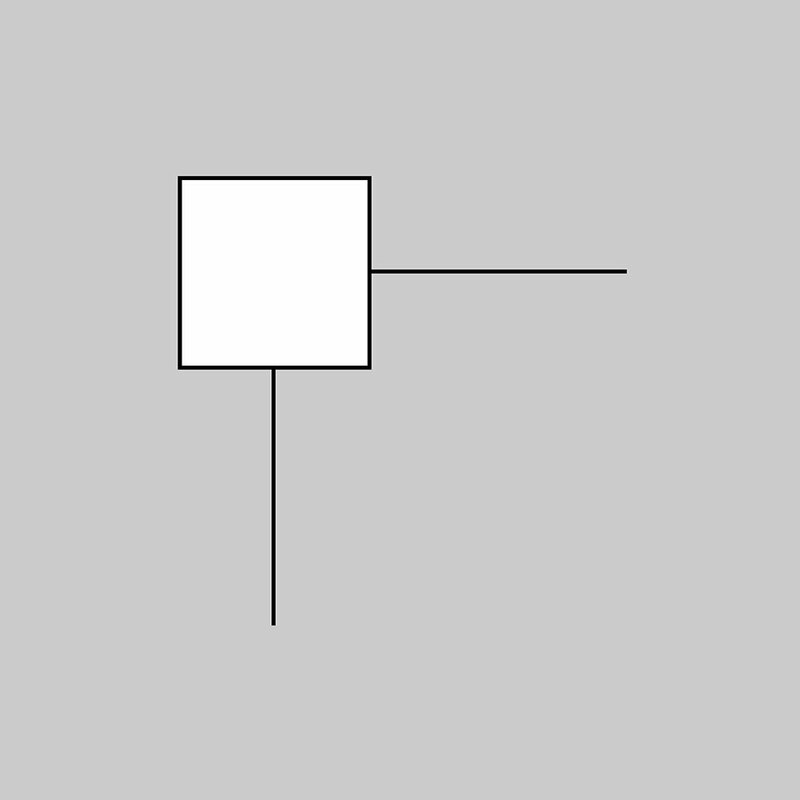 2″(on outside) and approximately 4″-5″ on inside of fence (see diagram below). 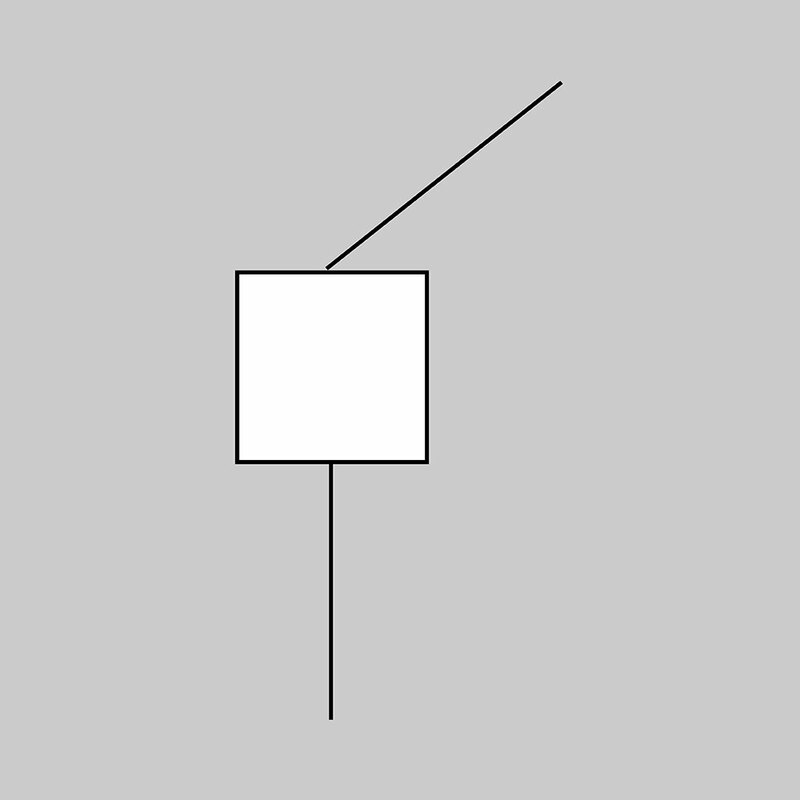 This will help, while setting the post, to put the post as close to the string as possible without touching the string. Not touching the string is critical – if you touch the string at any point, the fence line will appear to bow when looking down the fence line. We recommend keeping the posts approximately 1/4″ off the string line while vertically level along the whole fence line. This will make your fence line straight. Start by setting your first post in concrete and then insert the first fence section into the holes of the post. Drill a 1″ self-tapping screw into the pre-drilled pilot hole of the post through the section. Set the next post into the next hole, insert section, screw in fasteners to hold section to post and fill hole with concrete. We recommend leaving concrete approximately 2″-3″ below ground level and top-off hole with dirt. Pack firm and re-level post if needed, and continue down the fence line. Once you have completed a single fence line, step back and look if any height adjustments are needed. If so, set the scrap piece of wood on top of the post that may be too high and hit it with the hammer until the proper height is acquired. Never hit a post directly with hammer without using a block of some kind as this could potentially damage the material. If a post is too low, lift the post and place a block under the fence to hold the section up until the concrete sets. Next, go to one end of the fence and look down the fence line from one end to the other and tamp any post that is out of line. Due to material shifting around during the installation, it is normal to have to tamp posts when the line is completed. Make sure you set your height and tamp the posts prior to concrete drying. The gate opening is the distance between the inside of the end posts (gate posts). The actual gate itself will measure less than the opening to allow for the hinges and latches. The gate posts should be set just like the rest of the fence as described above. Many contractors will set the gate opening before installing any of the fences and adjust the height of the fence to adapt to the height of the gate to guarantee the gate will swing 180 degrees without touching the ground. After setting gate openings, continue to re-measure the opening and adjust if needed. Once your gate posts are level and the concrete is dry, it’s time to hang your gates, and place caps on all posts. Use a rubber hammer to apply caps to tops of posts. We recommend placing hinges on gate first. 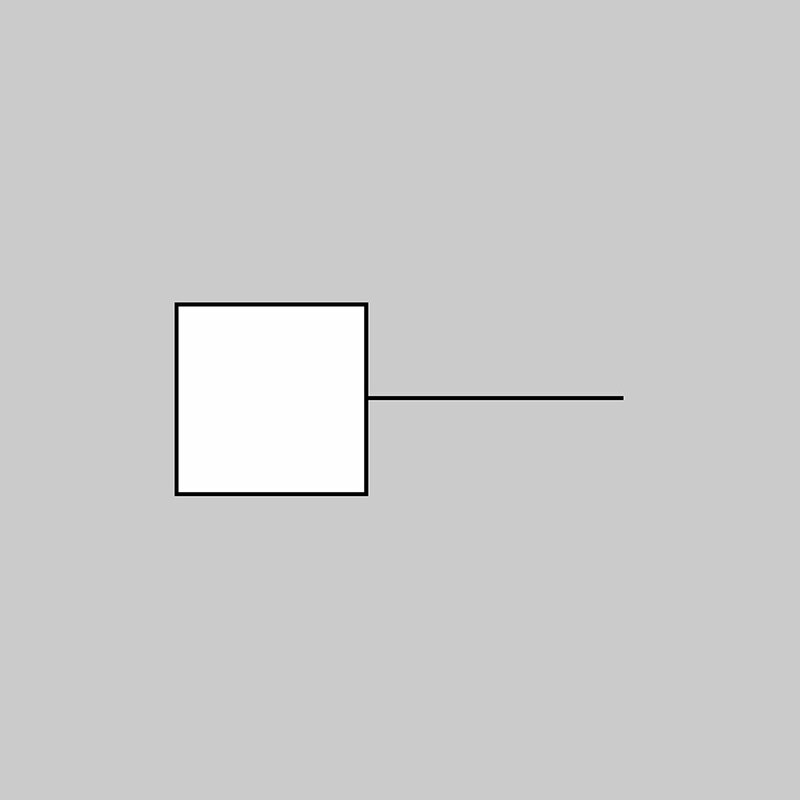 To do this, determine which way the gate will swing without hitting the ground (remember pool code if it applies). The hinges and latch will be on the same side of the gate. Lay gate down and screw hinges to the gate upright on the swing side only usually about 4″-5″ from both top and bottom of upright. Next, insert the gate into the opening, at the desired height. You normally want the top rail from the fence section to line up with the top rail of the gate, depending on the slope of the ground. One rule of thumb is to make the fence look good on top and adjust the ground accordingly (trenching or filling in, etc.). Once gate is at the desired height, use 1″ self-tapping screws to mount hinges to gate post. Next, you should take the striker bar and mount it to the other gate upright while gate is hanging, usually about 5″-6″ below top of gate upright. Close gate and when the striker bar is about to hit the gate post, insert the catch. When gate is closed, this will hold the catch (already on striker bar) to the latch post for proper alignment. Screw the latch catch to the latch posts while the gate is closed, adjust tension of hinge if needed, then open the gate and let it swing shut on its own. If everything is lined up and working properly, put the remaining screws in where needed. 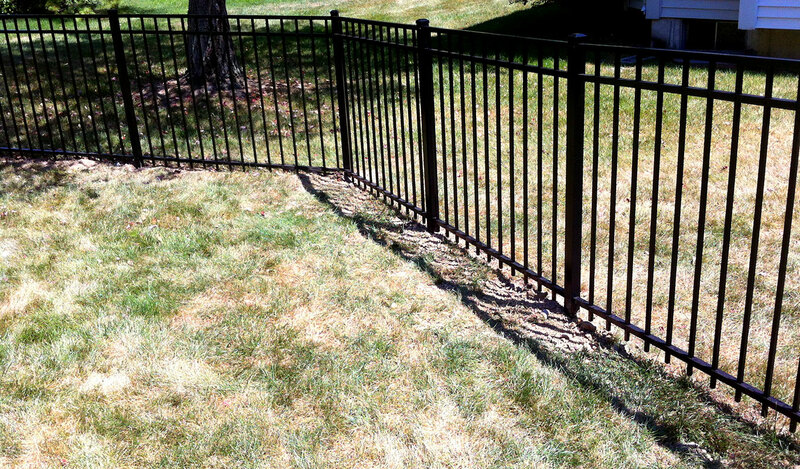 Have any other questions about installing your aluminum fence?